Kathmandu, 11 April : The Supreme Court has set a three months deadline for Ncell, a private telecom company operator in Nepal to clear its due capital gains tax. The court has also barred the company from repatriating profit and distributing dividend and shares until the due amount is deposited. Ncell has been dragged into the tax issue since its previous owner Telia Sonera, a Swedish company sold the company to Axiata, a Malaysian Telecom giant in 2016 without clearing the due capital gains tax. Telia Sonera left the country without paying its capital gains tax when it was sold to Axiata. A case had been filed at the court against NCell and Axiata as to who should pay the tax, either the buyer, Axiata or seller, Telia Sonera. Though the apex court announced its final verdict on the issue in February as an end of the case, ordering Axiata to pay the due amount, the court on Tuesday released a full text of decision with the deadline of 3 months. 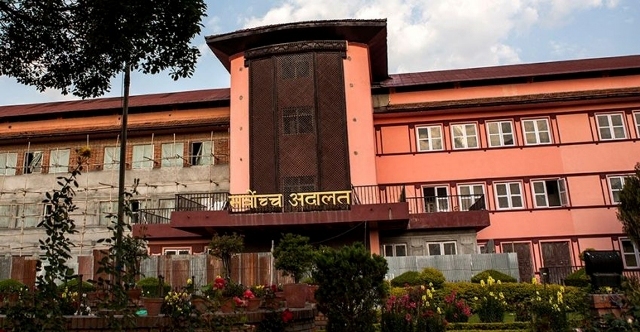 A full bench of Chief Justice Cholendra Shumsher Rana and Justices Mira Khadka, Bishwambhar Prasad Shrestha, Ananda Mohan Bhattarai and Tanka Bahadur Moktan made the decision after hearing the case that the responsibility of paying the due tax falls upon NCell not with Telesonia who no longer owns the company.